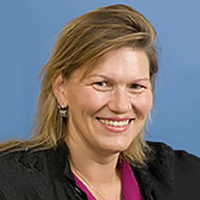 Anna Janss, MD, PhD is Associate Professor in the Department of Pediatrics at Emory University School of Medicine. Dr. Janss is a neuro-oncologist at Children's Hospital of Atlanta. She is a member of the Discovery and Developmental Therapeutics Research Program at Winship. Dr. Janss earned her MD and PhD in Pharmacology from the University of Iowa. After obtaining her MD, Dr. Janss completed her residency in Neurology at the Hospital of the University of Pennsylvania and fellowship in Neuro-oncology at The Children's Hospital of Philadelphia.